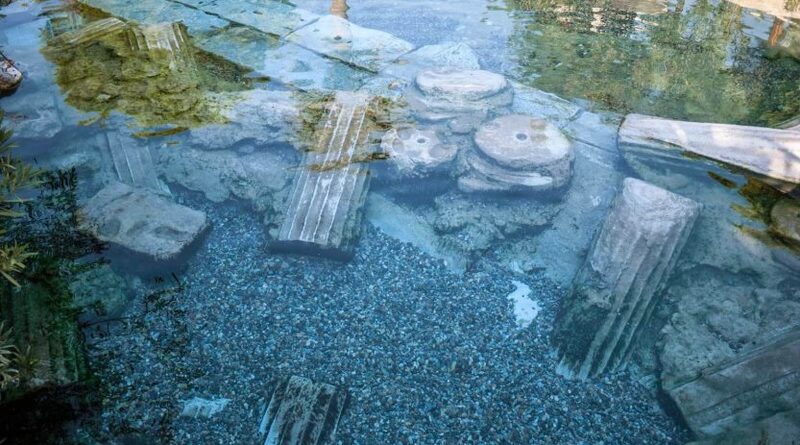 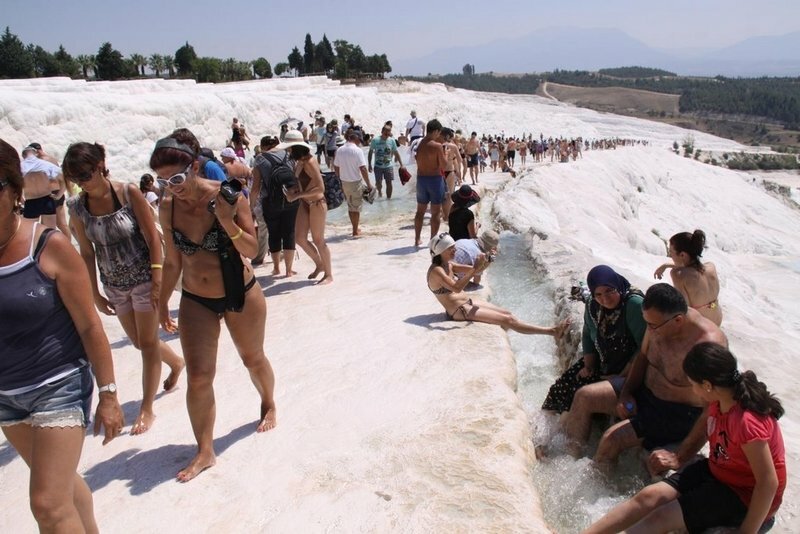 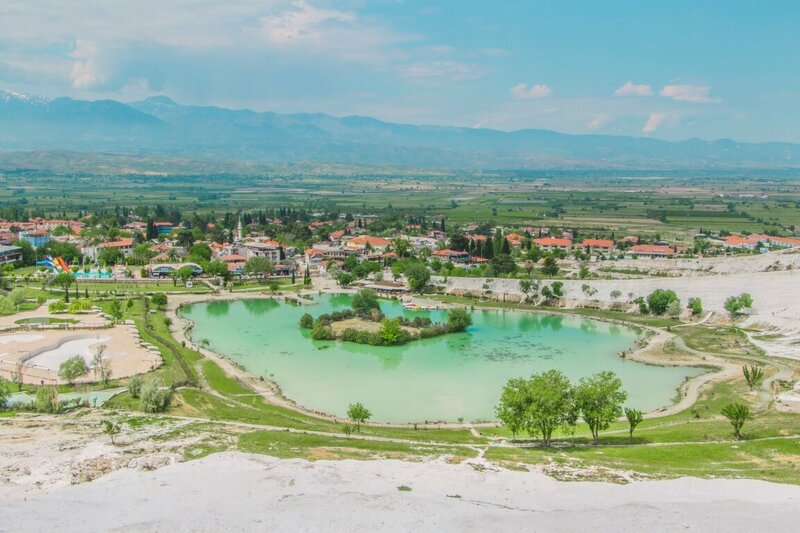 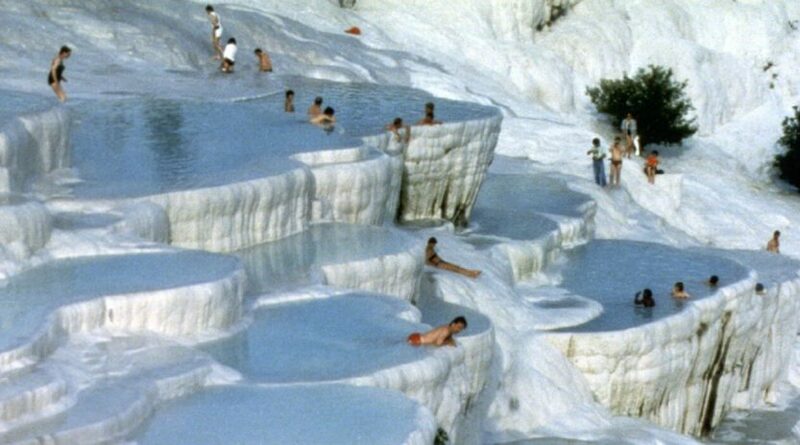 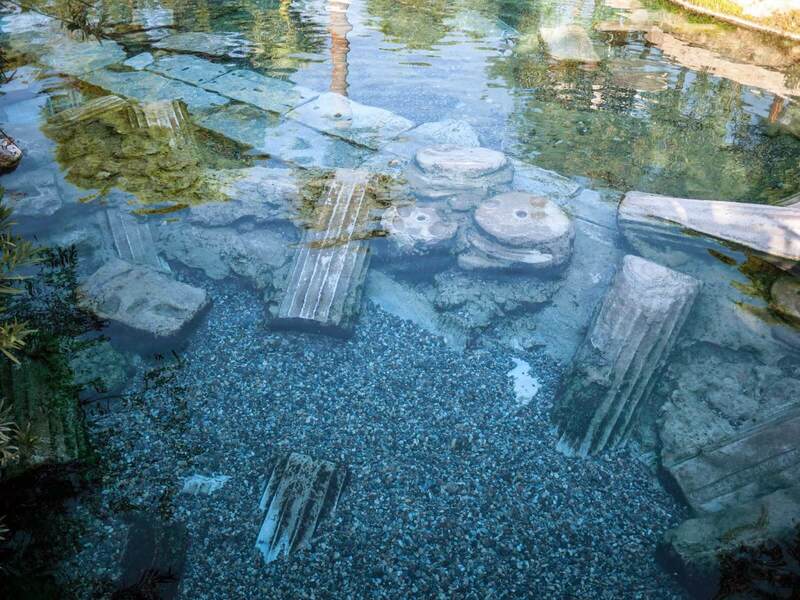 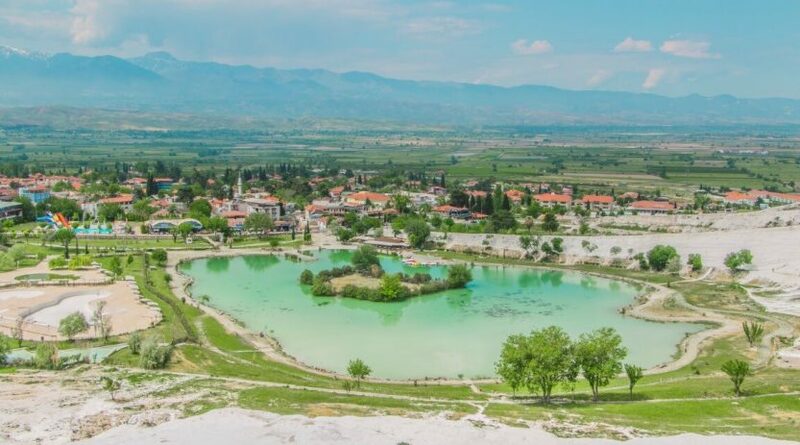 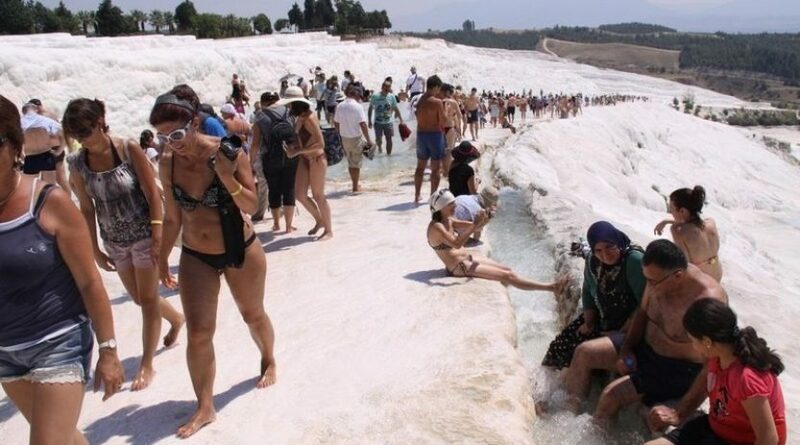 Pamukkale Tour by Semi Bus From Kusadasi And Selcuk To Fethiye gives you a chance to visit calcium terraces in Pamukkale and Hierapolis Ancient City while you are traveling from Kusadasi / Selcuk to Fethiye. 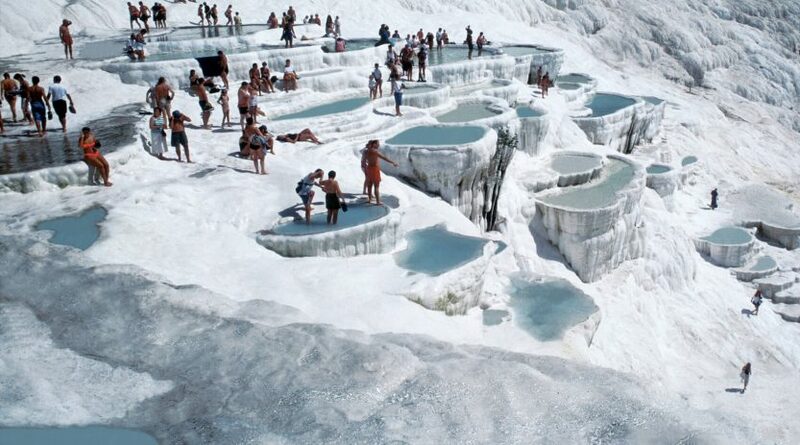 You will be picked up from your hotel by our tour bus then drive to Pamukkale. 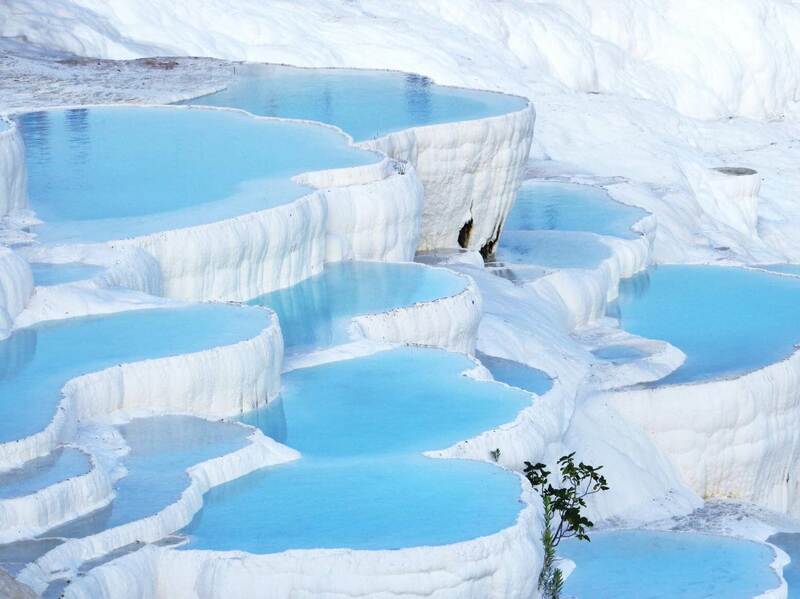 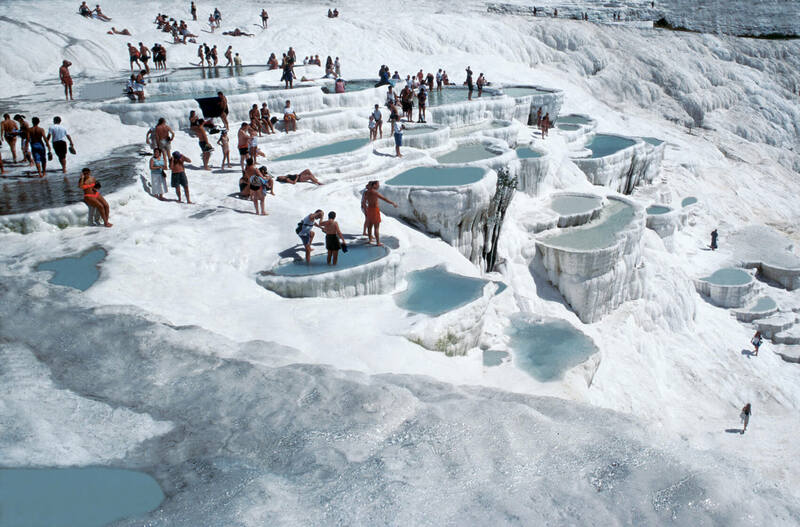 After complete the tour of Pamukkale, you will be sent to Fethiye by public local bus. 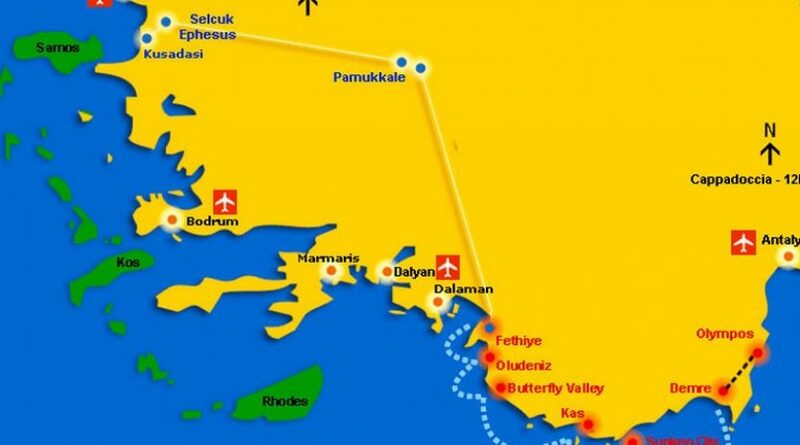 We will arrange all your transportation including local bus ticket. 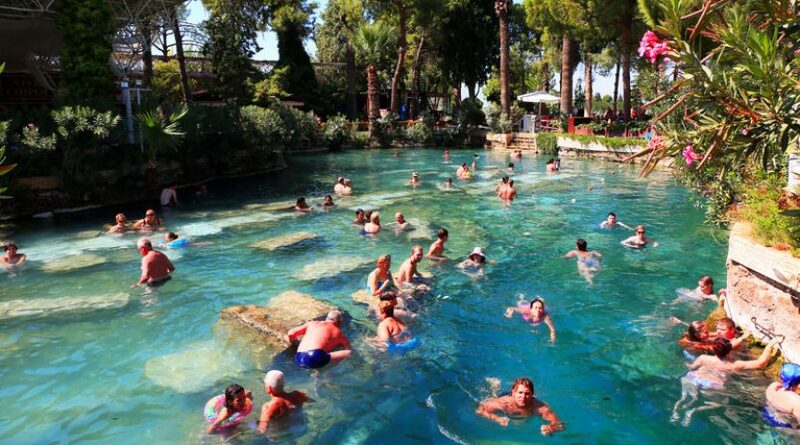 Once you arrive in Fethiye bus station, the tour will finish. 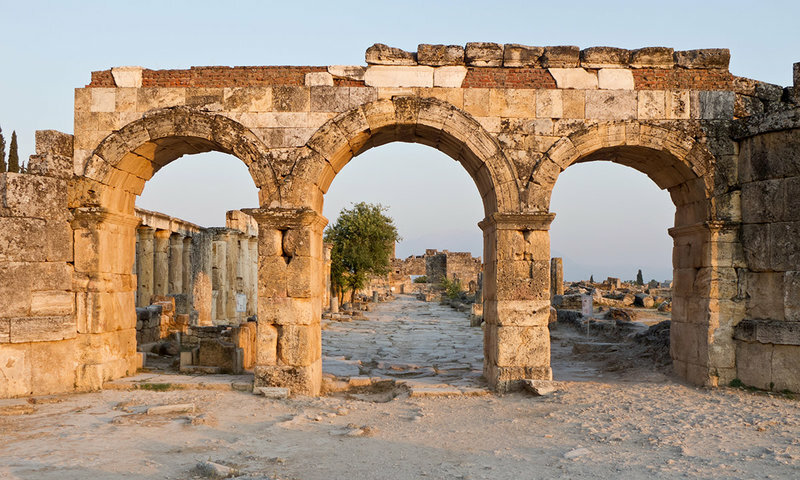 16:30 – You will be transferred to Denizli bus station and your bus ticket will be provided by our company. Note: – Upon arrival to Fethiye, this service is over and it is not included drop off service to your hotel. 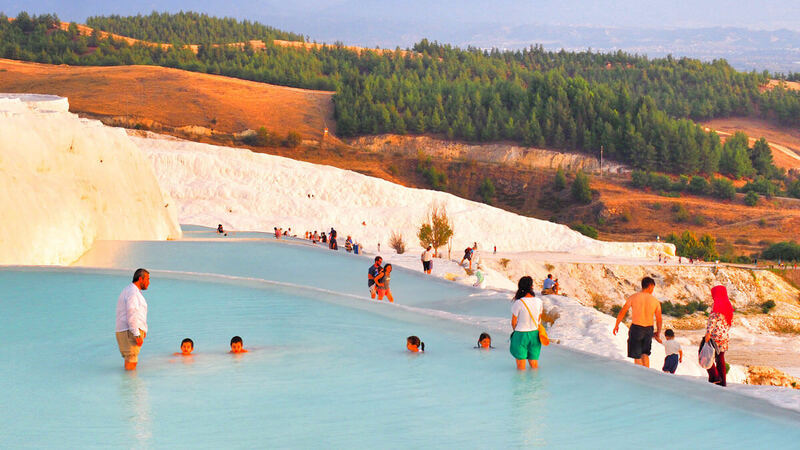 – Pamukkale Tour by Semi Bus From Kusadasi is not the Door to Door service, however, it’s still the best and easiest option to do this journey. 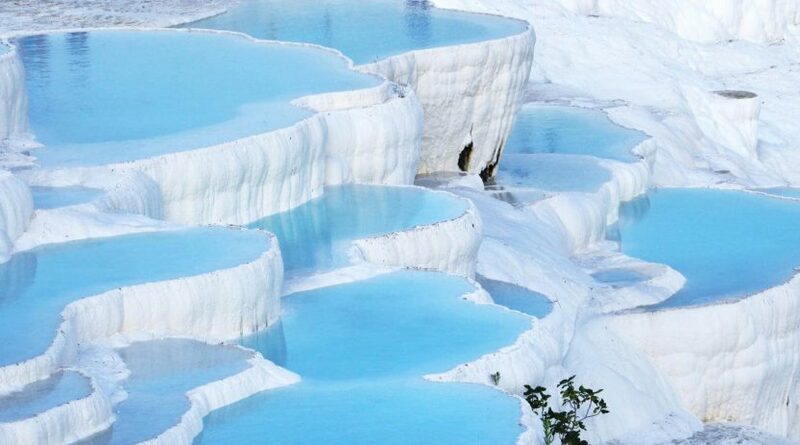 The last leg is by local bus, rest of the day is on tour. 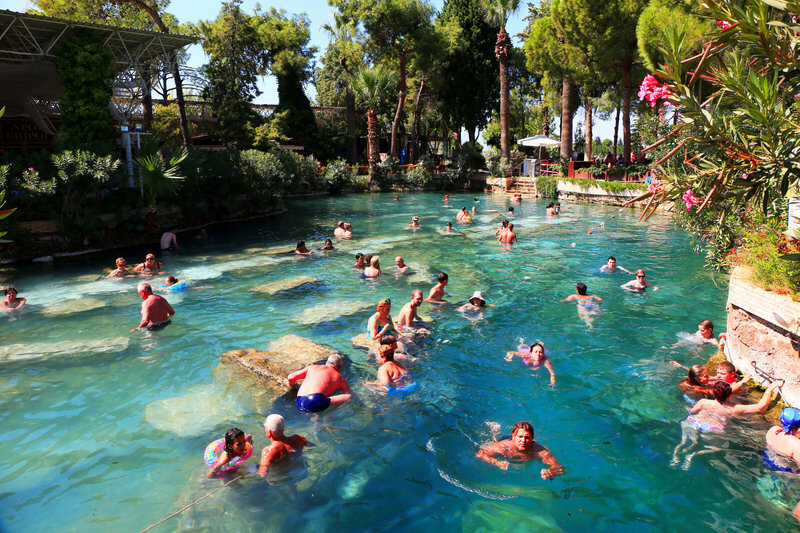 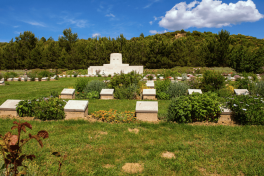 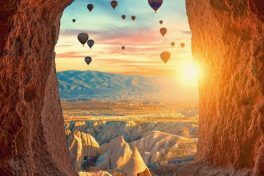 – The tour does not include hotel drops off on arrival to Fethiye. 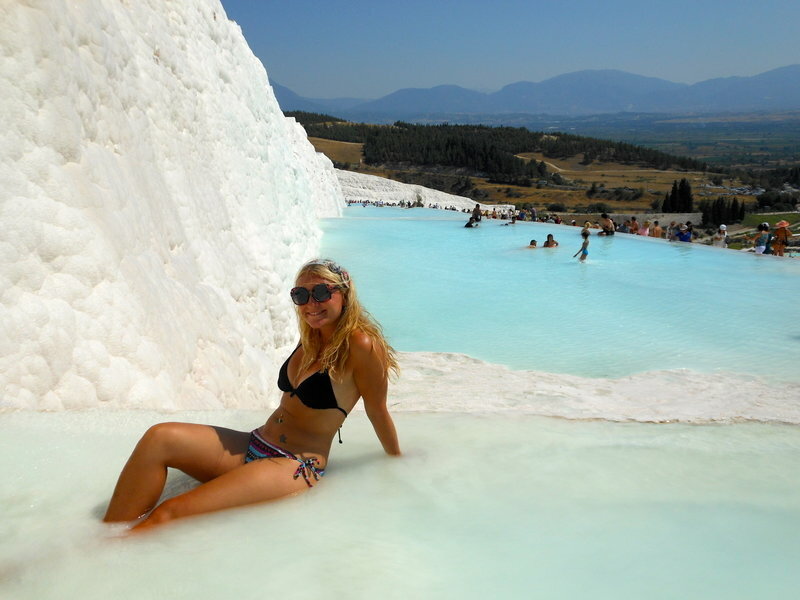 – This tour is not the Door to Door service, however, it’s still the best and easiest option to do this journey. 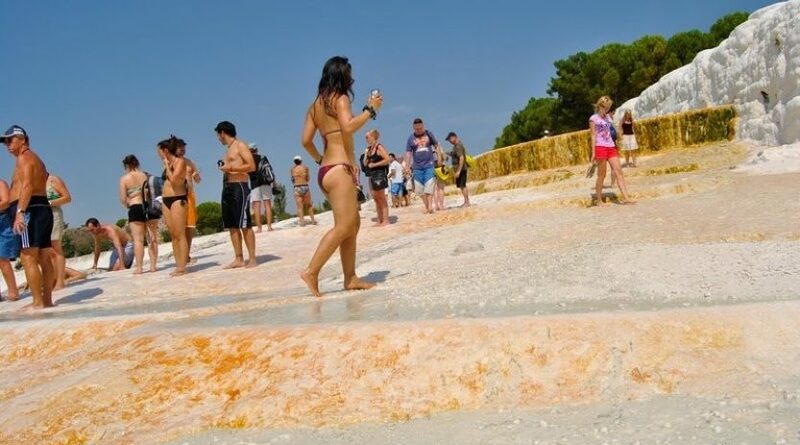 – The last leg of the tour is by local bus, rest of the day is by our tour bus.